While everyone is ramping up for J.J. Abrams' latest Trek movie, the Star Trek Into Darkness app is uncovering some hidden treasures from Star Trek past. 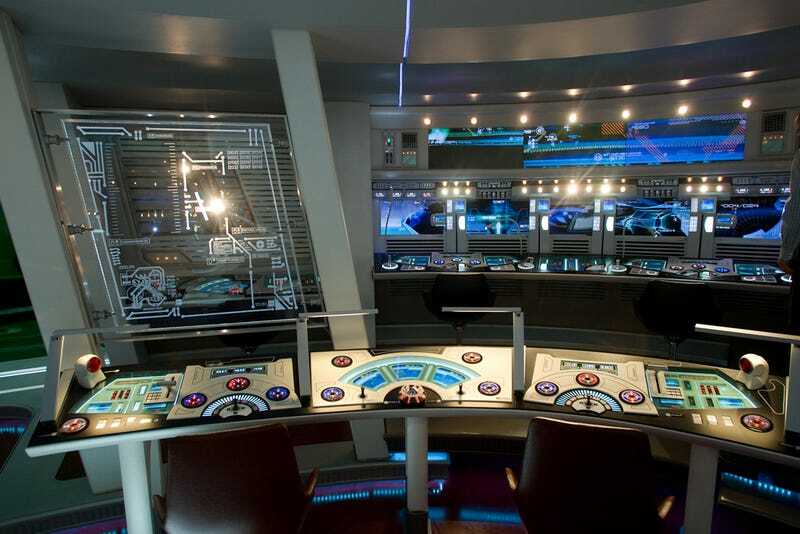 We've got an exclusive collection of high-res, never-before-seen shots of the redesigned Enterprise bridge from 2009 — check them out! Taken right out of the Bad Robot vault of awesome, check out Scott Chambliss' awesome redesign for the rebooted Enterprise Bridge — the detail is intense. And if you're following along on the Star Trek Into Darkness app (available on iTunes, the Google store, and Amazon apps) you can scan these images to earn extra points and rise in rank in Starfleet up to Admiral.